The French manicure will never date and never fall out of favor. Dating as far back as the 18th Century, we can’t get enough of these pretty, natural, nails. Fortunately modern trends are a far cry from the thick cut acrylic tips of the time’s gone by. In fact, today’s French manicures come in a whole host of styles from the classic ‘French tip’ or ‘LA tip’ to bold colors and geometric lines. So, whether you want to capture the elegant style and grace of stars of the silver screen or show off your inner fashionista, get ready to create your own rules. And that’s not all – you can achieve all of this from the comfort of your own home. 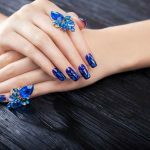 To help you get started, I’ve searched high and low for the best supplies and accessories to achieve the perfect French manicures. If you want to create a flawless French manicure, this handy little tool will make achieving the perfect French ‘smile’ easy. Simple to use, this ingenious device deserves a place in every manicure kit. It can be a little tricky to get the hang of on first use. The best tool for achieving that perfect C-curve that characterises the beautiful French manicure. This is a must-have for home manicures. Flexible Design with 11 Sizes- this Oval- shape French Trimmer from 1 to 11, slightly flexible C-Shape design and easy to find the suitable size for your nails and convenient to use. Flawless Smile Line- The acrylic cutter works like a charm. this handy little acrylic cutter will quickly mold a perfect smiley, saving your time and making your nails charming. If you’re in a rush, these stickers are an awesome idea – an instant French Manicure without the fuss. Just stick them in place, wipe a coat of clear polish over them, and you’re done. Couldn’t be simpler to create the perfect classic manicure. As with many stickers, they don’t adhere as well if your nails are au naturel, but I can live with that. Every girl needs a pack of these in her manicure kit. If you love changing up your style, or need a French manicure for a night out with the girls, this is your go-to product. This is the perfect gadget for creating the crucial French manicure smile. The guidelines are marked on the tray, both for fingers and powder amounts, and it’ll save huge amounts of time and trouble getting a sharply defined line. It’s a real shame that this tray only comes in grey, and looks fairly industrial. Miss Lytton – can you please make it look nicer? If you've been struggling to achieve flawless French manicure lines, this little dip tray is the perfect thing. I'd recommend it for DIY home manicures as well as salon use. And don't forget, practice makes perfect. 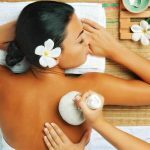 Getting perfect smile lines in a second: this Dipping Powder Mold is the best way to easily achieve a professional white smiling line, perfect French manicure DIY style. Creative Design: the French Dipping Container has finger guide, powder location mark and sponge non-slip bottom, which makes making the white curve is a breeze. This little bottle of magic pinkens nail beds and whitens tips as you apply it. 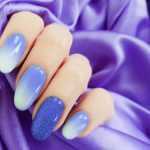 There’s no need to worry about the French smile as that happens naturally just using your nail line; it also seems very durable and damage resistant. If you’re rushing about, and need to feed your manicure fix, just open a bottle of Zeva’s Nail Bright. As you apply this, the odor is very strong. It does fade, but I would recommend opening the window while you use this polish. This simple polish is a shortcut to a gorgeous and long-lasting French manicure when you're pushed for time. Vegan and cruelty free - this is an essential addition to your polish collection. FRENCH MANICURE. Skip the salon and enjoy a professional-style, French Manicure at home. ZEVA's Nail Bright Polish pinks up nail beds and whitens tips in one easy step to create this timeless look. Additional coats can be added for more color. I’m always slightly skeptical when it comes to false nails, so I tried these out with some trepidation. They went on easily, once I’d filed them into shape, and felt comfortable and very useable. I managed to do everything I wanted to without them pinging off, and they stayed on and looked good for nearly a week. They are a quite long and tough, so do take a bit of filing to fit your own nails. If you like the ease, speed and simplicity of false nails, these are a great addition to your manicure kit. Acrylic-infused technology delivers a flawless French manicure that's 2X stronger than other brands. The easy-to-apply nails go on with a seamless cuticle line so they look natural, and have a perfect French smile line that's consistent on every nail!